Brrrrrrr! The weather’s getting colder (some cities have already seen snow!) and that means that many of us will soon be seeing a big spike on our monthly electricity bills. But it doesn’t have to be that way – there are plenty of simple ways to minimize the amount of energy needed to heat your home and save a bundle of cash doing it. From properly insulating your house to simply dressing for the season, check out our 10 easy tips to cut your home’s energy use – you’ll thank us when you receive your next electricity bill! It’s hard to cut down on your energy when you don’t even know how much you use. That’s why we recommend getting an energy-monitoring device like this Kill-a-Watt that will allow you to visualize and quantify how much electricity you’re actually consuming. At about $20, this smart little device can save you hundreds – a nice return on investment if you ask us. Just because you aren’t using a charger, television or computer doesn’t mean it isn’t still sucking up electricity (and costing you money). If you saw that your faucet kept running water even though you’d turned it off, you would probably do something about it and your electrical outlets should be no different. One way to deal with the problem is to simply unplug your electronics when they aren’t in use, but if that seems cumbersome, you can get an eco powerstrip which automatically cuts off the supply of electricity to computers and other gadgets when they are off. When the days get shorter we end up switching on our lights a lot earlier than we would in the summer, so it’s more important than ever to make sure your bulbs are as energy-efficient as possible. Our recommendation? Go with LEDs. You may have heard that CFLs were the way to go a few years back, but that is so 2007! LEDs are the future of low-energy lighting, and the future is finally here. High quality LED bulbs can now be found at many major retailers at reasonable costs. Not only are there LED bulbs now that consume 80 percent less energy and last 25 TIMES LONGER than incandescents, they’ve been much improved over LEDs of a few years ago, and are now designed to provide soft, warm ambient light, rather than the harsh bluish light that was common with LEDs a few years back. 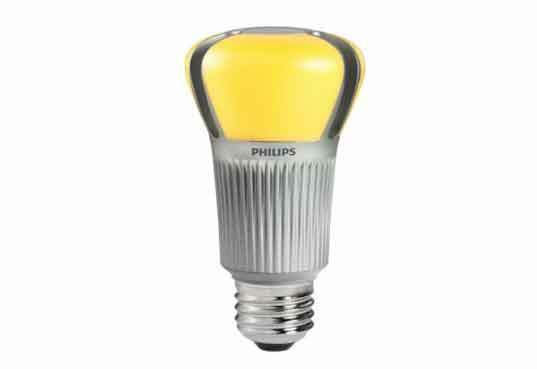 One more tip regarding LED bulbs – brace yourself and don’t go into sticker shock when you realize that LEDs bulbs cost about 10X as much as old-fashioned incandescent bulbs (Philip’s Ambient LED 75W bulb retails for $39.95). Keep in mind they last 25X longer, so that means that you won’t ever have to buy new lightbulbs, plus you’ll save a ton of money on your electricity bill. See, it all works out in the end! Also worth checking out as we approach December? LED holiday lights! Ask most people if they would like to pay to have their houses heated during the day when they weren’t even there, and you’d probably be met with a resounding “of course not!” But if you don’t have an old-fashioned thermostat, that’s probably exactly what’s happening in your home. 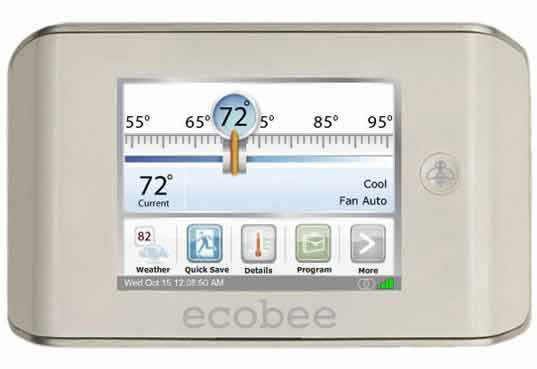 With a smart thermostat, like the Ecobee, you can program your heating and cooling systems to only turn on when you need them to. Look out for a similar device, the Nest, from the makers of the iPod next month. This may seem like a no-brainer, but you can save a ton of cash if you simply dress a little warmer during the colder months. If you get in the habit of wearing sweaters, slippers and blankets around your home, you can turn your thermostat down a bit and still be completely comfy. It’s winter – dress for it! Getting an energy audit is a lot like getting a check-up at the doctor – a professional auditor can check out your whole home to spot any problem areas where heat could be leaking out, and recommend exactly what you can do to fix them. And while we wouldn’t recommend WebMD-style self-diagnosis for your health issues, if you want to take a stab at DIY energy auditing using a spot thermometer or infrared gun, we say go for it! These handy tools detect exactly where your home is leaking heat so that you can patch up those areas with insulation. As we learned in our Green Home Expert Series from organic architect Eric Corey Freed, you can never have too much insulation – the more the better! Typically, ½ of your home’s heating and cooling (a huge chunk!) will escape through walls, windows, the floor and the roof, so if you don’t have proper insulation in those spots, you’re going to be spending a lot more to heat your home than is necessary. After you find out where your heat is leaking from (using the infrared gun we described on the page before this), spend some time bulking up on your insulation in those spots. Click here for different types of insulation and where they should be applied. Single pane windows are so 1960s and many homes leak most of their heat out of windows. In order to minimize the amount of toasty winter heat leaking out of a drafty window, make sure that all of your glass is at least double-paned. Triple pane or double pane with argon or some sort of insulation material between the glass is even better. Equally important to this is that the trim of the window around the glass is sturdy and well insulated, so that you do not have just a layer of metal between you and frigid winter air. You may not realize it, but you can significantly warm a room (or cool it down) by what you choose to do with your window treatments. During the daytime, if you have bright sunlight coming directly through your window, this will heat up a room significantly. If you want to heat up the room (say it is winter), roll those blinds up and let in the light! Likewise if it is summer and you are trying to cool this same room down, roll a thick, sunlight blocking shade over the window. If you are trying to keep a room warm at night (like a bedroom), put the shades or curtains down, so that heat doesn’t leak out the windows. There’s nothing that can take the winter blues away like some hot soup or delectable baked goodies and if you’re going to be turning on your oven any way (presumably you use that stove relatively frequently? ), why not turn off your heat and hang out in the kitchen for a bit? Back in the olden days, people used to huddle near their hearths for warmth, and there’s no reason why we can’t follow their lead. It’s true that our ovens need electricity (or gas) to operate too, but if you’re going to be whipping up some cookies, cakes, soups or casseroles anyway, might as well repurpose all of that hot air to keep yourself warm too. Besides the money you save by not double heating your home, the sweet and savory smells wafting through the air are another nice incentive! 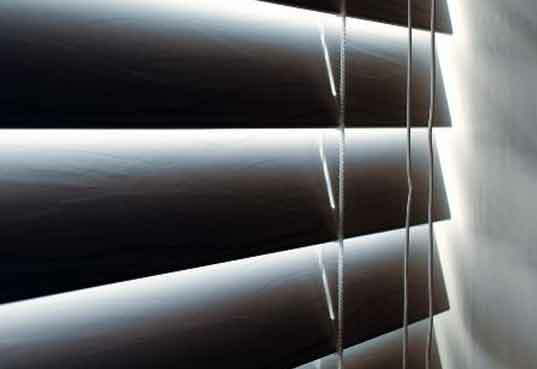 Great tips and advise in conserving energy, I think the idea of using window blinds is great! Thanks for sharing this. These are all great suggestions. 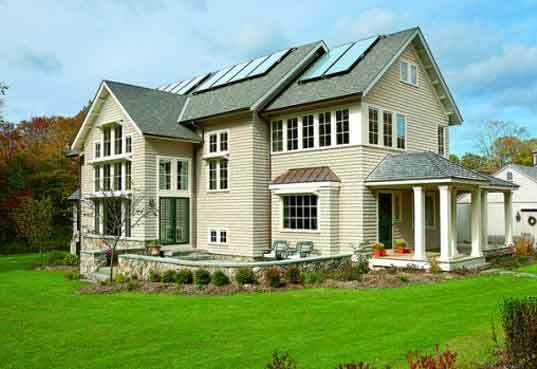 The most important one is to get the home energy audit. This study will help you to determine the problem areas in your home so you can focus your improvements there. And depending on your location, these audits may be free through your utility who may also be able to provide you with information for incentives on any of the necessary upgrades. If you heat your home with electricity then buying LEDs is a waste of money. LEDs may use 80% less energy, but what are those 80% converted to when using incandescent light bubs? How about heat? So while you don't decrease your energy consumption, you still pay a lot for those new shiny LED bulbs. Remember we are talking about winter here. Good advice and inspiration -- but don't forget another of the big ones: paint your house the right colours for energy conservation. A dark surface helps conserve heat while a light one reflects sunlight and helps keep the house cooler. Since it's not practical to repaint or change your roofing every season, go with the one that makes the most difference in your climate. What is the mechanism of keeping a room warm at night by closing the blinds? Isn't most of the heat in the form or infrared radiation, which glass is opaque to? We're missing a link to the Home Depot shopping cart? My savings bulbs have ben lasting 2-4 years before starting the annoying blinking thing. Plastic your windows. Use old fashioned timers. Dress warmer. If you rent. If you own your home, seal your windows, triple glazing does wonders. They still make storm windows. Beef up your insulation and keep the heating on timers and use localized heaters. What a great post. Since living in a small apartment I can concur, while cooking the apartment warms up very well. Otherwise, I dress in warm clothing. The eco power strip and the LED bulb are two items which stand out the most for me. I'm looking to invest in the ecostrip to see the difference in my electrical bill. I have a lot of technology in my home lol. Although the LED bulb is expensive I wouldn't mind taking time to build up an inventory on eco bulbs. Great tips... this was very helpful! I definitely need to invest in one of those smart power strips. It can really save you a bundle if you unplug electronics that aren't in use... but knowing me, I probably wouldn't remember to do that everyday. Great energy saving tips! Thanks! All great tips! 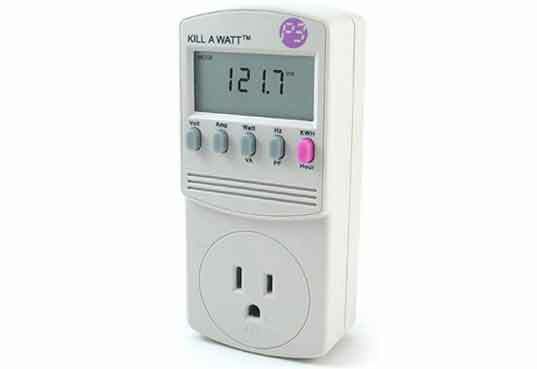 For all ConEd customers, I believe they offer free timers for those with central cooling and heating systems. Give them a call and find out! Time your heat/air to turn on an hour or so before you get home so you don't have to keep it on all day! Thanks for the tip Bridgette! Great tips! I wear sweaters a lot to keep the thermostat down. I'm all for saving money and energy, but it always seems so daunting! Great tips I can definitely make some upgrades and adjustments this winter! More pumpkin spice muffins, super fuzzy socks & holiday sweaters, less firing up the furnace! great tips to use for what's sure to be a very cold winter. i'm especially a fan of the baking tip! It's great to see tips that even people renting apartments can use to cut their energy bill! Totally agree with Dan, an energy audit will definitely keep you from covering up construction mistakes. For instance if you don't air seal an attic before insulating then you might be wasting your time and money with insulation and heating. I much prefer bundling up in sweaters and blankets than cranking up the heat. Winter is the season for snuggling, not sweating! It's so tempting to hang out in shorts with the heat on - thanks for reminding me it's not worth it! I will definitely be hanging out in the kitchen and baking as much as possible this winter! This came just in time! I just turned my heat on and was dreading the coming bills! Thanks! 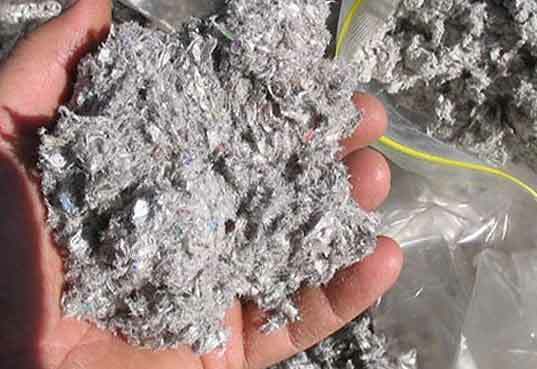 the green fibre insulation is fairly cheap and you can usually get the blowing machine for free when you buy the insulation from the big box stores. Brrrrrrr! The weather's getting colder (some cities have already seen snow!) and that means that many of us will soon be seeing a big spike on our monthly electricity bills. But it doesn't have to be that way - there are plenty of simple ways to minimize the amount of energy needed to heat your home and save a bundle of cash doing it. From properly insulating your house to simply dressing for the season, check out our 10 easy tips to cut your home's energy use - you'll thank us when you receive your next electricity bill! It's hard to cut down on your energy when you don't even know how much you use. That's why we recommend getting an energy-monitoring device like this Kill-a-Watt that will allow you to visualize and quantify how much electricity you're actually consuming. At about $20, this smart little device can save you hundreds - a nice return on investment if you ask us. Just because you aren't using a charger, television or computer doesn't mean it isn't still sucking up electricity (and costing you money). If you saw that your faucet kept running water even though you'd turned it off, you would probably do something about it and your electrical outlets should be no different. 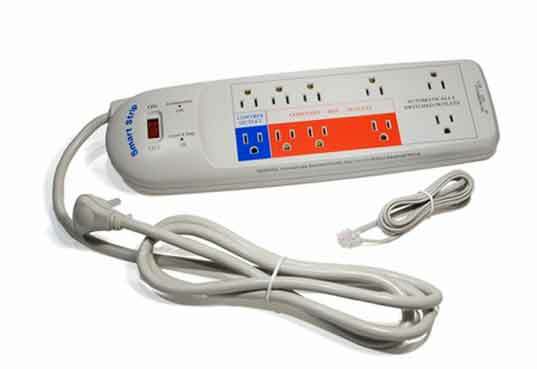 One way to deal with the problem is to simply unplug your electronics when they aren't in use, but if that seems cumbersome, you can get an eco powerstrip which automatically cuts off the supply of electricity to computers and other gadgets when they are off. Switch all of your light bulbs to LEDs When the days get shorter we end up switching on our lights a lot earlier than we would in the summer, so it's more important than ever to make sure your bulbs are energy-efficient. Our recommendation? Go with LEDs. Not only are there LED bulbs now that consume 80 percent less energy and last 25 times longer than incandescents, many of them also give off a nice soft glow. And the same goes for LED holiday lights too! When the days get shorter we end up switching on our lights a lot earlier than we would in the summer, so it's more important than ever to make sure your bulbs are energy-efficient. Our recommendation? Go with LEDs. Not only are there LED bulbs now that consume 80 percent less energy and last 25 times longer than incandescents, many of them also give off a nice soft glow. And the same goes for LED holiday lights too! Ask most people if they would like to pay to have their houses heated during the day when they weren't even there, you'd probably be met with a resounding "of course not!" But if you don't have an old-fashioned thermostat, that's probably exactly what's happening in your home. With a smart thermostat, like the Ecobee, you can program your heating and cooling systems to only turn on when you need them to. Look out for a similar device, the Nest, from the makers of the iPod next month. Dress for the weather and turn your thermostat down a few degrees This may seem like a no-brainer, but you can save a ton of cash if you simply dress a little warmer during the colder months. If you get in the habit of wearing sweaters, slippers and blankets around your home, you can turn your thermostat down a bit and still be completely comfy. It's winter - dress for it! This may seem like a no-brainer, but you can save a ton of cash if you simply dress a little warmer during the colder months. If you get in the habit of wearing sweaters, slippers and blankets around your home, you can turn your thermostat down a bit and still be completely comfy. It's winter - dress for it! Getting an energy audit is a lot like getting a check-up at the doctor - a professional auditor can check out your whole home to spot any problem areas where heat could be leaking out, and recommend exactly what you can do to fix them. And while we wouldn't recommend WebMD-style self-diagnosis for your health issues, if you want to take a stab at DIY energy auditing using a spot thermometer or infrared gun, we say go for it! These handy tools detect exactly where your home is leaking heat so that you can patch up those areas with insulation. As we learned in our Green Home Expert Series from organic architect Eric Corey Freed, you can never have too much insulation - the more the better! Typically, ½ of your home’s heating and cooling (a huge chunk!) will escape through walls, windows, the floor and the roof, so if you don't have proper insulation in those spots, you're going to be spending a lot more to heat your home than is necessary. After you find out where your heat is leaking from (using the infrared gun we described on the page before this), spend some time bulking up on your insulation in those spots. Click here for different types of insulation and where they should be applied. There's nothing that can take the winter blues away like some delectable baked goodies and if you're going to be turning on your oven, why not turn off your heat and hang out in the kitchen for a bit? Back in the olden days, people used to huddle near their hearths for warmth, and there's no reason why we can't follow their lead. It's true that our ovens need electricity (or gas) to operate too, but if you're going to be whipping up some cookies, cakes or casseroles anyway, might as well repurpose all of that hot air to keep yourself warm too. Besides the money you save by not double heating your home, the sweet and savory smells wafting through the air are another nice incentive!